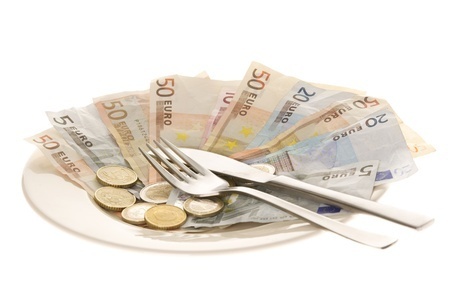 The cost of food plays a major role in the success or failure of every restaurant. Your signature might be astounding but it is not so tasty when you are losing money with every serving. As a chef, you also have to have a head for business, especially when it comes to the cost of food. Are You Losing Money With Every Serving? How much does each item on your menu cost you to make? Without having this information at your fingertips, it is very difficult to decide upon the right selling price for your dishes. MenuAnalyser will enable you to cost each item on your menu to the last penny thereby ensuring the profitability of every portion that you serve. The cost of food is rising relentlessly. Many restaurateurs only cost their menu items when they create a new menu. In between times, they often don’t realise how the rising cost of ingredients is affecting the profitability of their menus. Without this information, it's difficult to stay ahead of the game. MenuAnalyser enables you to see the cost per portion of your dish update dynamically to the last penny as you create it. 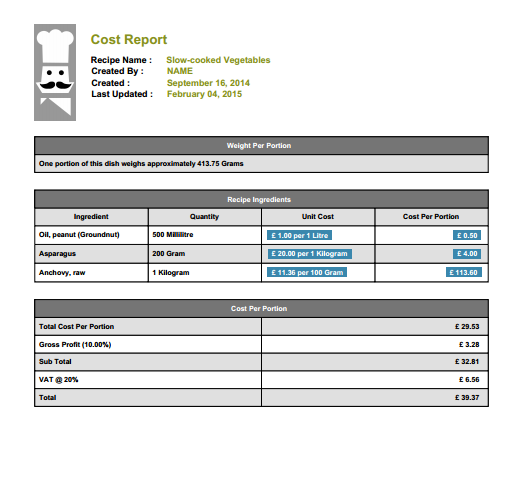 You can view both the basic cost of ingredients together with the gross profit price of your dish.